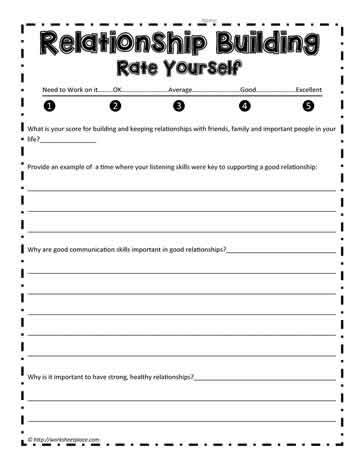 Relationship building worksheet for social emotional learning. Many learners need help in learning to build and maintain relationships with peers, teachers and important individuals in their lives. These worksheets help with relationship building.